The new MacBook has all kinds of tricks up its sleeve, from a new keyboard to a force feedback trackpad, and of course a lovely new hi-res screen. But maybe the coolest new feature is deep on the inside: terraced batteries that can put more power in a thinner package. 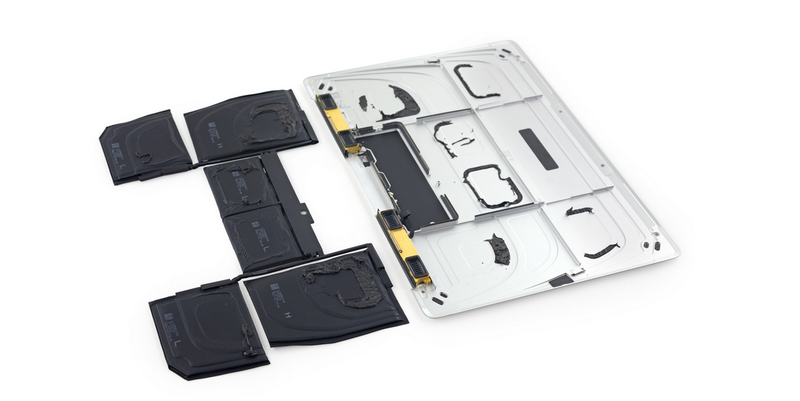 iFixit just got its hands on a new MacBook and tore it apart, giving us our first great glimpse of what these look like on the inside. Strange, but promising! In the future, little interconnected battery packs like these could make for slimmer electronics than we thought possible. For now though, there are still drawbacks. By most accounts , this new design barely elevates the new MacBook's battery life to "average" and the way the interconnected pouches are all glued into the frame is just one of the many things that makes the new MacBook horrifyingly unrepairable. But all that aside, you can't deny this slick little sucker is slim as helllllll.